I know that this has been hyped as a Jane Eyre retelling, but I didn't see it that way (entirely). 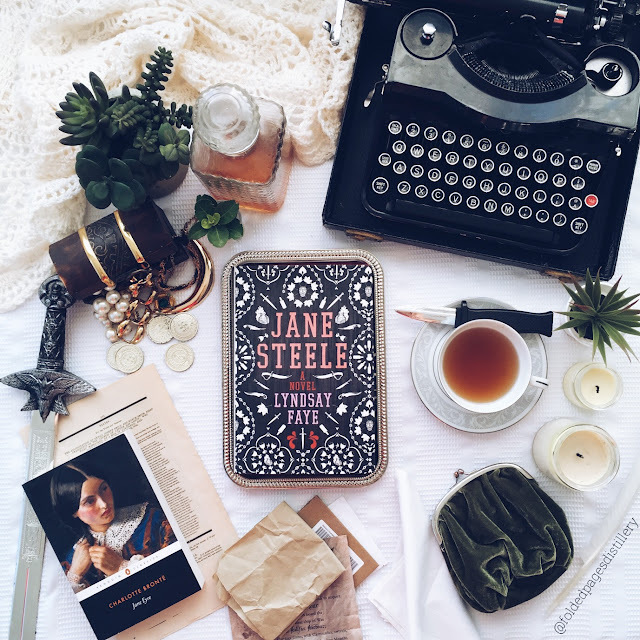 This is an autobiography of Jane Steele, who often refers to her love of the novel Jane Eyre and mentions some of the similarities her life has to Eyre's. (Not to mention direct passages from Eyre in the book) So while there are familiarities and similarities, I don't know if I would consider it a retelling in the way of others I have read. Jane Steele is a child plagued by distain from her aunt, heartbroken by the sudden death of her mother, and defined by her first murder at the age of nine. This story follows the hardships and cleverness of Jane as she maneuvers a life on her own. But if there is one thing her mother drilled into her, it was that she had right to the Highgate House estate. So when she discovers that Charles Thornfield inherited it after her aunt's death, Jane goes seeking what is rightfully hers. 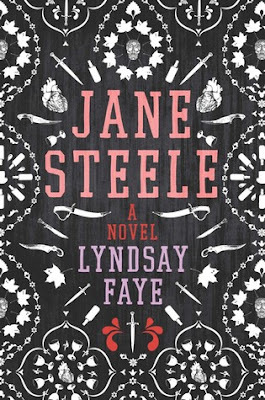 But Charles isn't what she expected, and love wasn't what she expected, but there is no way Jane can give her heart to anyone unless they know the full truth of her all crimes. And with Janes experience, no one can love a murderess. I would say the first half of this novel is kind of terrifying. In a thrilling way. Rule no. 1: DO NOT MESS WITH JANE. Dude, if you're a bad person, have wronged Jane or her friends... Watch your back. Cause Jane may literally put a knife in it and laugh through her terror. I have a vengeful side that comes out in full force while reading. I like people to get what's coming to them. And while Jane seemed a little crazy, I also rooted for her. A different sort of story and a mystery emerge in the second half of this novel, and I think it changes considerably from the macabre beginnings. I thought they flowed well into each other and I liked the evolution of Jane. It's definitely a lot to pack into 400 pages, but I really loved this read. I felt like it lived up to all the hype it was receiving. This is written in the language of 1800s giving it a classic feel, but I didn't find it tedious like I some times find that style. Altogether well written and wickedly delighting.